Things have been quiet around our house lately. I live with my parents and eight siblings while I'm going to school, so we have our busy days and hectic seasons as every family does. But lately, I've been trying to capture more of the everyday moments on my real camera, not just phone camera snapshots (Soule Mama continually inspires me in this way). I want to remember these quiet days as well as the basketball championship games. 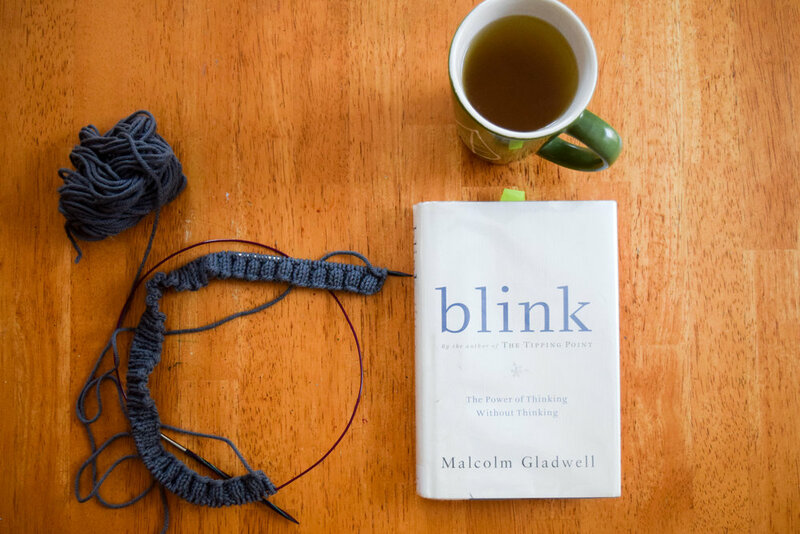 A few days ago, I brought my book, knitting, and camera downstairs and just pulled my camera out periodically. 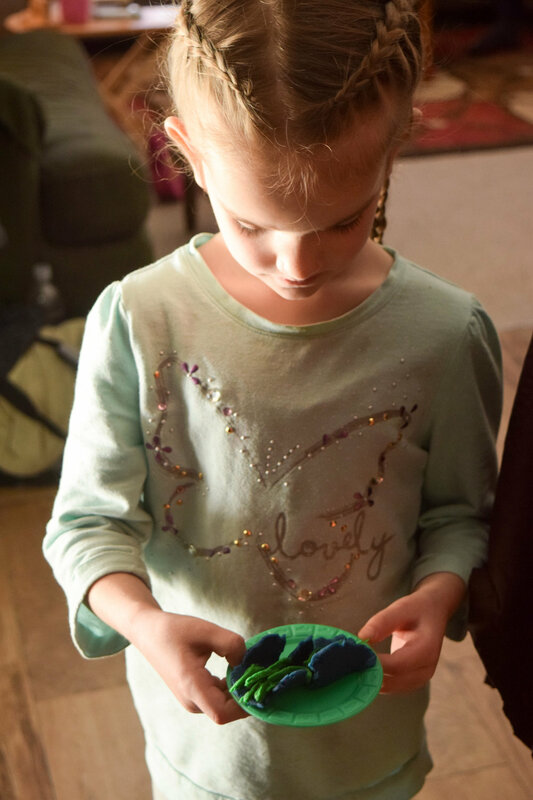 My three youngest sisters were playing "college" (on a Saturday morning, no less), with two of them "going to class" and the youngest making some Play-Doh food options for them. Our March Madness brackets are hung up in the dining room to be constantly updated (I know next to nothing about basketball, so my bracket is...well, it's enjoyable to join in the fun). 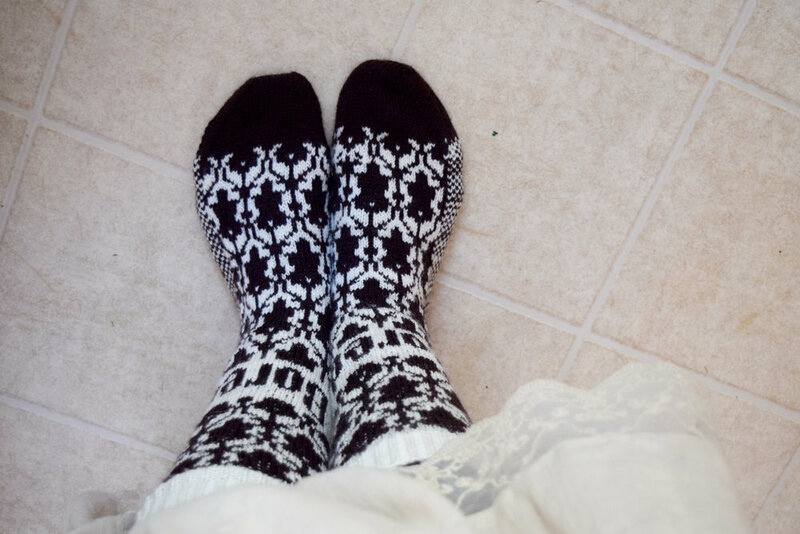 I wore my Sherlock socks, my favorite skirt, and settled in to do some sweater knitting. These are the quiet moments I want to hold on to. Some days, I impress myself. I actually take the time to not only swatch but also wash and block said swatch AND wait to cast on until the swatch is dry. Even when I'm going on a trip the next day and desperately want to have this sweater to work on during the nine-hour car trip. But with this project, I wanted to get it right. It's been a while since I've knit a sweater, so I decided to actually make a swatch in the correct way. Even then. my gauge turned out a bit small, but I'm just doing some math along the way to make sure it turns out well. In other news, I think I'll try this correctly-knitting-and-blocking-a-swatch thing more often (it happens occasionally, but should happen more), but this means my little pile of swatches in a basket on my desk is going to be growing. Do you have any suggestions for good swatch diaries/notebooks/folders/filing systems? Let me admit something. I love looking at sweater patterns. I love researching designers, buying patterns and books. But I have only ever knit a couple of successful sweaters. I have one that currently needs blocking, a small cardigan that ended up too small, and this pullover. A couple of years ago, I purchased the Interweave Knits Winter 2014 magazine. There were so many gorgeous sweater patterns, but as soon as I saw the Bread Basket Pullover, I knew I had to tackle it. 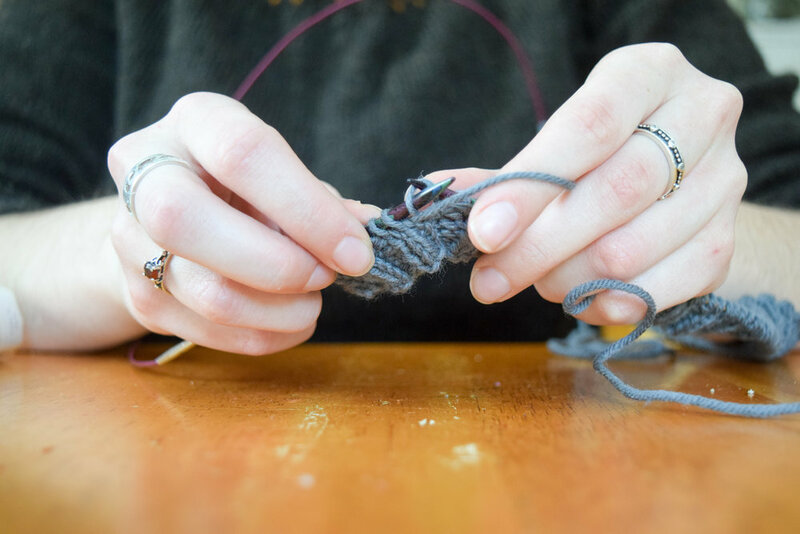 I had inherited quite a lot of wool yarn around that same time that would make a perfect fisherman's sweater. That was that, and off I went. This sweater is warm, and I love the texture. It's not the softest wool, but I just wear a long-sleeved shirt underneath and it's completely comfortable. I have not been able to wear it much this winter as it's been rather mild, but I pulled it on this morning. It's just so comfy! Funny story: I tried to take some pictures of it, but my camera died after only five pictures. Oh, well. Here are a couple that I managed to get.